✔ SECURITY – Protect your family and valuables for a very low cost compared to expensive surveillance systems. Arrives shipped in a very discreet non-alarming packaging unlike competitors. ✔ EASY SETUP – Simply insert up to a 32GB Micro SD Card (not included). Plug the device into any AC outlet and camera will start recording. Fully functional USB charger. Charges while you record. Truly a plug and play! 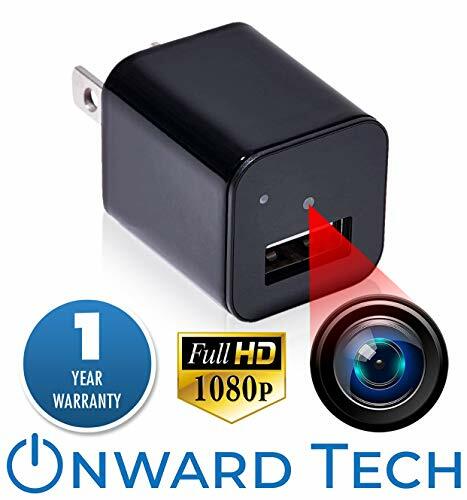 ✔ VIEW FOOTAGE – Remove memory card from the camera and insert into a Mini SD Card Adapter/Reader . Next simply plug into a computer to view your surveillance footage. ✔ NO FUSS RECORDING MODE- Automatic Loop Recording 24/7. Once the memory reaches capacity the camera will delete the oldest videos to continue recording.